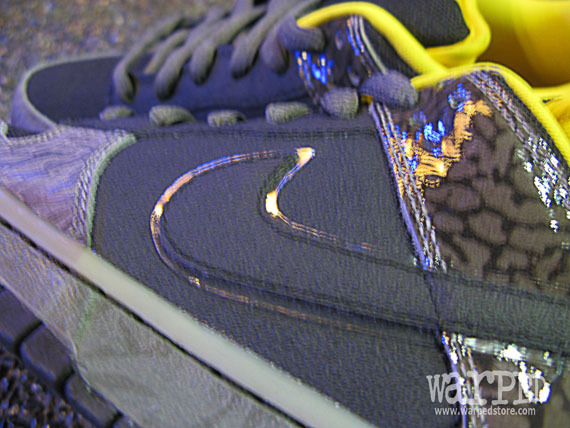 Our first look at we can expect from Nike SB next month reveals one of the most uniquely inspired SB Dunk Lows of 2010. 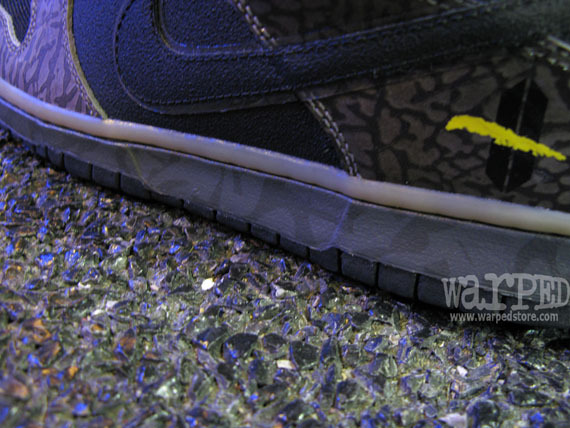 When it comes to Nike SB, there really is no limits when it comes to drawing inspiration for their latest release. 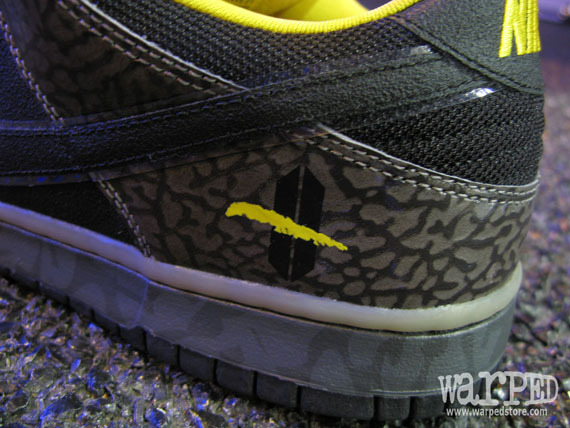 This all new SB Dunk Low Premium is a perfect example of that, drawing its inspiration from the yellow street lines we see everyday on the streets of America. 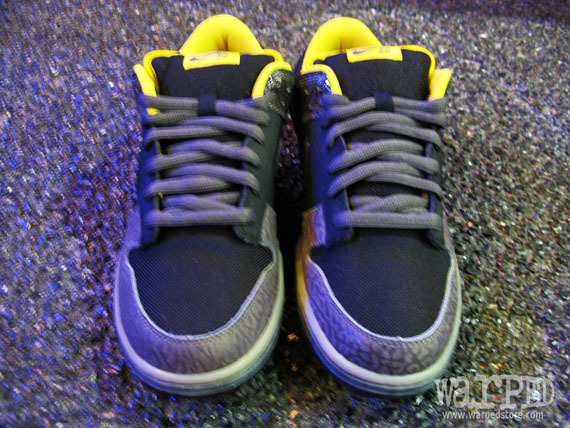 Black works most of the upper, working in mesh along the ankle and toebox, while suede sits in the side panel and covers the Swoosh. 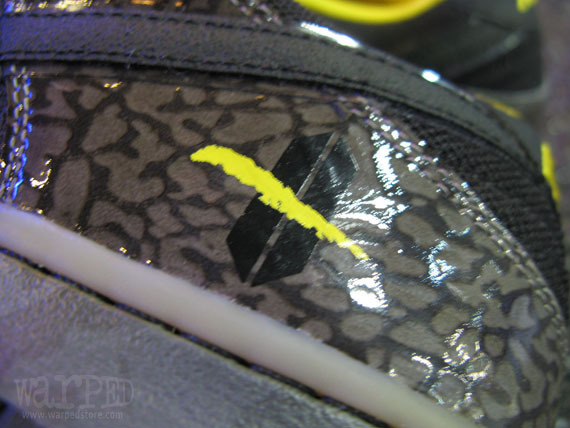 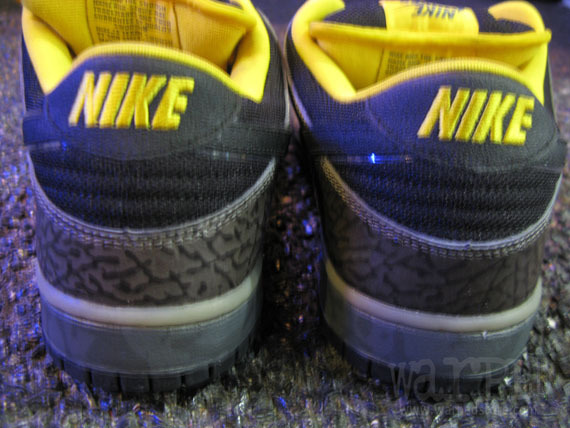 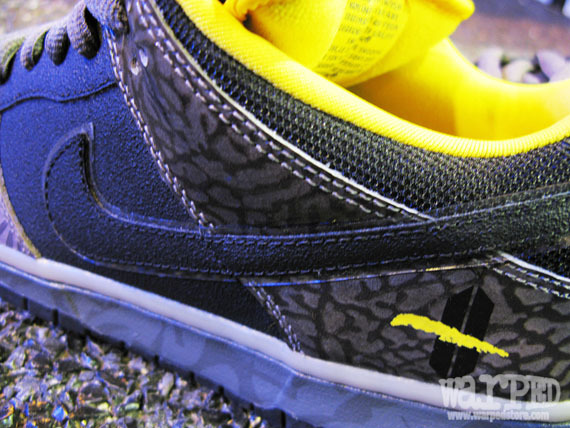 The always favorable elephant print is also apart of the look, taking place along the toe and heel panel. 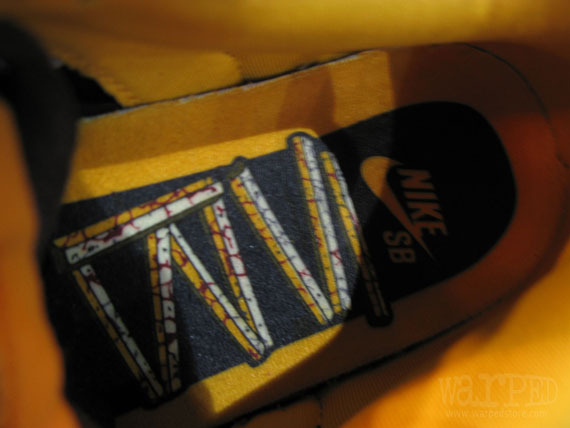 Grey works the laces, while yellow sits along the sockliner, tongue lining and branding throughout. 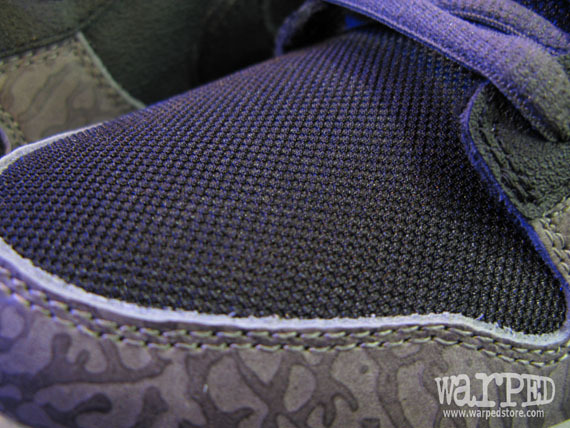 Down below sits a grey midsole, coming together with a black outsole to complete the look. 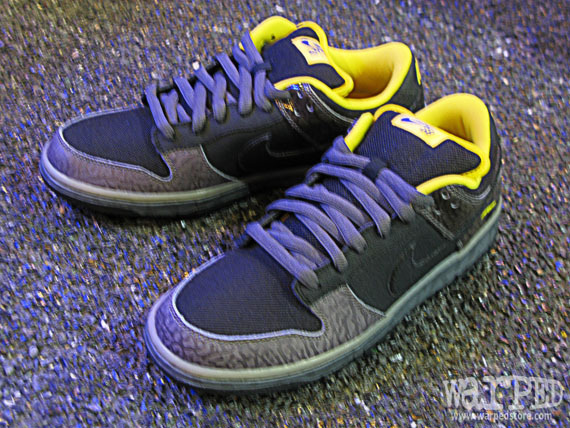 The "Yellow Curb" SB Dunk Low Premium is set for a December release at select Nike SB retailers.